A YOUNG man who had already served a prison sentence for drug-dealing was caught in Leamington with wraps of heroin and crack cocaine worth nearly £1,000. Eritrean refugee Alay Kifle, who has lived in Leamington since he was ten, pleaded guilty at Coventry Crown Court to two charges of possessing class A drugs with intent to supply them. 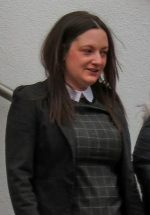 The 22-year-old of Rusina Court, Ranelagh Terrace, was jailed for three years and nine months. 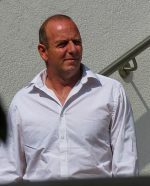 Prosecutor Matilda Robinson-Murphy said on September 4, the police stopped a VW Golf in Leamington, and the occupants, including rear seat passenger Kifle, were detained. They were taken to Leamington police station where they were told they were to be strip-searched, at which Kifle took out a clear plastic bag from the waistband of his trousers. 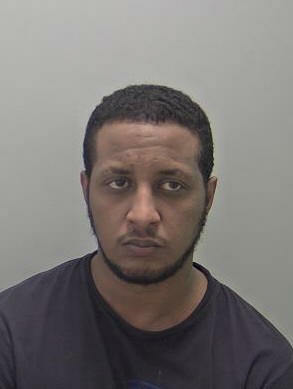 In the bag, which Kifle claimed to have ‘found’ in the car, were a large number of £10 street deals of heroin and crack cocaine. Miss Robinson-Murphy said there were a total of 24 wraps of heroin and 69 of crack cocaine. Kifle also had two phones with drug-dealing messages on them and £160 in cash, which Judge Andrew Lockhart QC ordered to be forfeited under the Misuse of Drugs Act. And she pointed out that Kifle had previous convictions for 27 offences, including a four-year sentence for robbery in 2012 and 29 months in 2015 for conspiring to supply class A drugs. Claire Evans, defending, conceded: “To call it an unenviable record is quite shy of the mark. This is a young man who has got into an enormous amount of trouble. 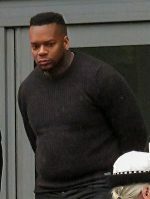 His previous drug-supplying conviction had involved him working for two brothers as a street dealer in Luton, where he was caught during an under-cover police operation. “He realises it’s time to stop and to turn his life around,” added Miss Evans.